Anna correctly identified our mystery seeds from last week as being from a hackberry tree. 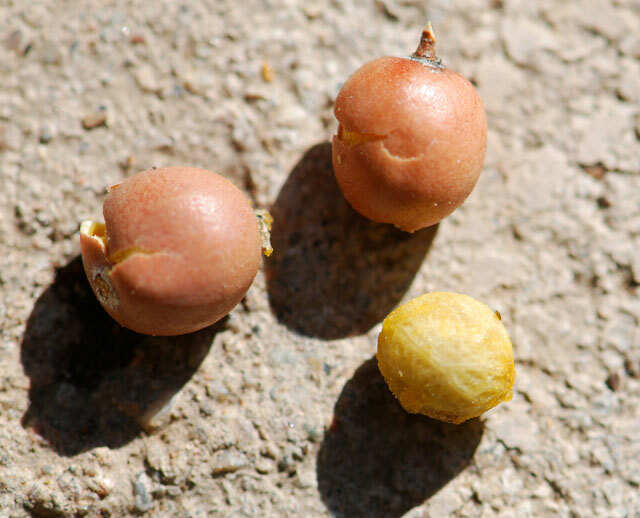 These particular seeds came from the netleaf or canyon hackberry, Celtis reticulata. 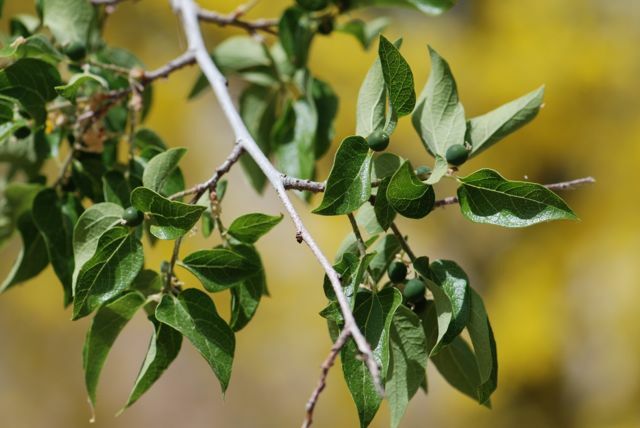 Canyon hackberries are found along streams, washes, and in canyons throughout the West. They are for the most part shrubby, small trees. 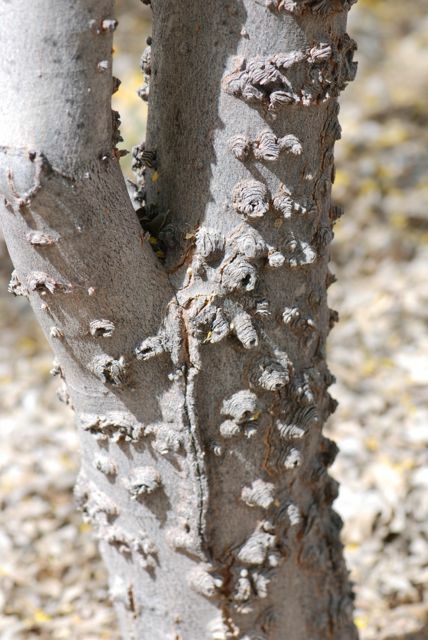 The bark on the trunk is often covered with warty knobs and ridges. The branches can be droopy. The leaves, however, are quite striking. 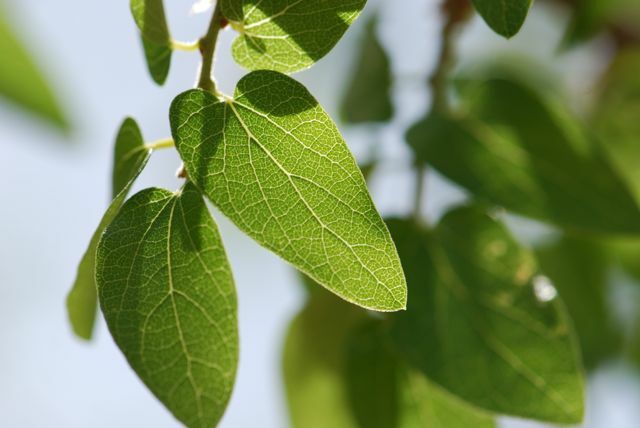 The tree gets its common name "netleaf" from the prominent veins in the leaves. There are also netlike ridges on hackberry seeds, which is one way to recognize them. The fruit are red-orange drupes that when ripe are a favorite of birds, which is why people grow them in landscapes. 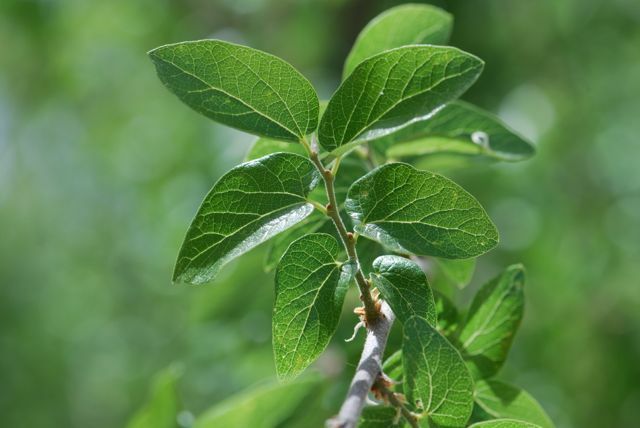 Another good reason to grow netleaf hackberry trees is that they are the larval food of the hackberry emperor butterfly, Asterocampa celtis. 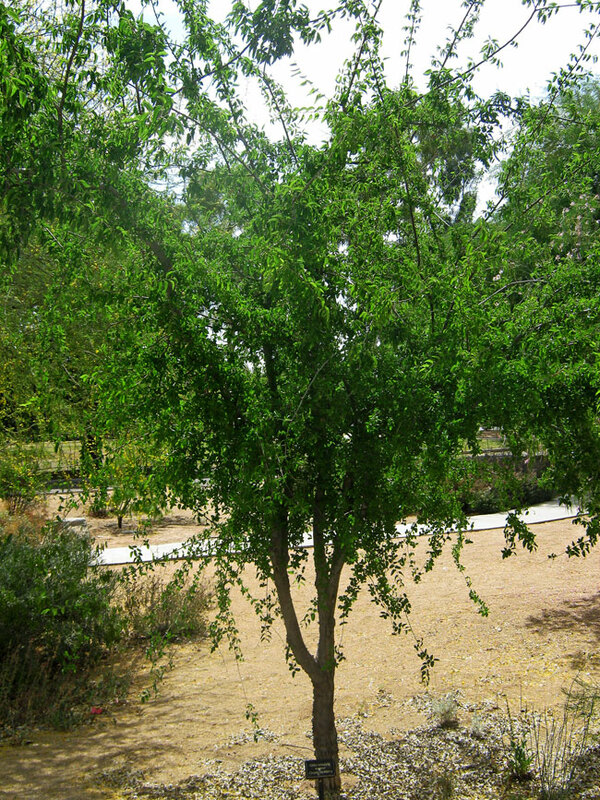 What kinds of hackberry trees grow where you live? What do you think of them? Previous article:New Resource for Sharing Poetry and Science!